Matt is a native Austinite, University of Texas graduate, founder of Mathias Partners and co-founder and general partner of numerous brokerage, development and investment entities which spread across a number of market types. Matt previously served as President of the Austin Commercial Real Estate Society ( ACRES) and the Commercial Brokers Association. He has also served on the Board of Directors of Real Estate Council of Austin and is a past member of the Economic Development Committee of the Austin Chamber of Commerce and other civic organizations. Matt is also the proud son of the Grandfather of Honor Flight Austin Vic Mathias, a WWII Veteran and CEO of the Austin Chamber of Commerce. Matt continues the legacy of his father through his continued support and his passion to honor our most senior veterans with a “Trip of a Lifetime” to our Nation’s Capital. Matt and his family have been instrumental to the success of Honor Flight Austin and its continuation of being recognized throughout the Austin community for honoring and serving our local heroes. As an honorary board member, Former Mayor Leffingwell was instrumental in the creation of Honor Flight Austin. Mayor Leffingwell, a veteran himself, served as an officer and a pilot in the United States Navy and served in the Vietnam War. After leaving active duty, he served in the Navy Reserves and retired at the rank of Commander. Mayor Leffingwell attended the second and Austin’s largest Honor Flight in October 2012. Mayor Leffingwell is committed to helping Honor Flight Austin serve all local WWII Veterans. As Navy Veteran, a Council Member and Mayor, Mayor Leffingwell has been very passionate and focused on supporting Veterans; under his leadership and vision, the City of Austin has created an unequivocal Veterans program. The City of Austin has been recognized both locally and nationally for their unprecedented program; most notably is receiving the DOD, Secretary of Defense Freedom Award; one of only 15 employers nationally to receive this honor and of course the DAV’s state and national commanders large employer of the year award. Born and raised in San Antonio, Texas, Ms. Lee graduated from the University of Texas at San Antonio with a degree in Health and received her commission into the Air Force. As an Air Force Veteran, she supports those who continue to serve in the military today and in the past. Ms. Lee moved to Austin in 2012 to work for the City of Austin Veterans program. Tina advocates, supports and assists Veterans employed by the City of Austin, those serving in the Guard and Reserves along with the community members who also served in the Military. Ms. Lee is committed to Honor Flight Austin’s mission to send and honor our most senior veterans to see their memorials in Washington D.C.
Mr. Ryan is Honor Flight Austin’s legal counsel and a proud U.S. Marine veteran. Kory is also a co-founder and board member of 22KILL. 22KILL is a global movement to end the veteran suicide epidemic that is plaguing our country. In addition, he founded the law firm of Ryan Law Firm, LLP, a national firm headquartered in Austin. Kory received his law degree, with honors, from Southern Methodist University. Ms. Cuteri was born into and grew up in a career military household. Her father was in the Army for 23 years. This afforded her the opportunity to travel to and live on bases in Germany and throughout the U.S. Wanting to be involved in an organization that honors our military she discovered Honor Flight Austin. Michele has been volunteering as an Austin guardian for the past two years. When the position of Treasurer became available she saw a way to become more involved while at the same time using her degree in finance. Michele is looking forward to continuing her service with our organization. Dr. Glass grew up in a Gold Star family and learned at a very early age the meaning of patriotism, sacrifice, and courage. Her father served proudly in WWII in the Pacific and was fortunate to return home to his family. Her brother’s father, however, was killed in action in France in 1944. It was that loss plus the loss of many friends in Vietnam that would later influence her dedication to veterans and their families. She considers it a profound privilege and honor to serve on the Board of Honor Flight Austin. Flying WWII veterans to Washington, D.C. is the very least that she can do to honor their extraordinary contributions to our country. These men and women are our national treasures and should be cherished and honored while we still have time. Chief Piker has been serving the community in EMS since 1998. His medical education was conducted in cooperation with the military at Brooke Army Medical Center in San Antonio. Currently, he serves as a Division Chief for Austin-Travis County EMS. The EMS department has been extremely humbled and honored to provide medical support for the veterans who participate in the life-changing trips provided through the Honor Flight Program. Commander Piker was appointed by EMS as the liaison to Honor Flight to assure that each trip receives the attention to detail required to achieve the highest level of clinical safety and organization. He considers it the highest honor to serve Honor Flight in memory of his late grandfather, a WWII Purple Heart recipient. Allen Bergeron is a gratefully retired Marine; finishing his Marine Corps career from the Marine Corps Air Station Miramar in San Diego, California; serving on active duty for 20 years in both the Air and Ground components of the Marine Corps. Allen currently serves as the City of Austin’s Veterans Program Administrator; he also serves as an Advanced Military Ombudsman for the Department of Defense, Employer Support of the Guard and Reserves (ESGR). Allen manages one of the most aggressive Veterans programs in the country; the City of Austin was awarded the ESGR Secretary of Defense Freedom Award; being the first large City in the County to receive this prestigious honor; the City of Austin was recognized for going above and beyond federal requirements in supporting their Guard and Reserve members (and their families) before, during and after their military deployments; their program also focuses on support and awareness for all Veterans in the area of military transition, USERRA, PTSD, mTBI, Veterans Employment, and military benefits. Allen is a passionate supporter for approx 1800 City of Austin employees who are Veterans and those serving in the Guard and Reserves, as well as supports Veterans and Guard/Reserve members at the local, state and national level. 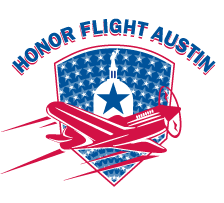 Along with former Mayor Lee Leffingwell, Allen was instrumental in creating Honor Flight Austin in 2011. Allen was one of the founding board members of Honor Flight Austin, serving as the Chairman of the Board from inception to December of 2017.